BlackBerry Bold 9800 Steps In Front Of The Camera For Us Yet Again. 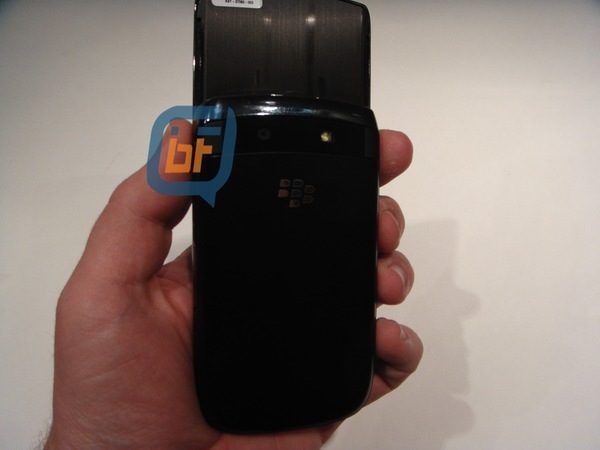 We've seen it in pics, we've seen it in video and now it's time for another round of up close and personal pics with the BlackBerry Bold 9800. Love it or hate it, this is a device that many folks are now starting to love more and more as newer pics and videos show up on the scene. While I'm still not overly fond of the device myself, that on screen keyboard (if it works as I'm thinking it does) should be quite functional. One more pic of the back of the device is after the jump, showing the slider in the up position so you can just see the camera placement. You can view the whole lot of pictures over at TheBerryFix by hitting the source link.